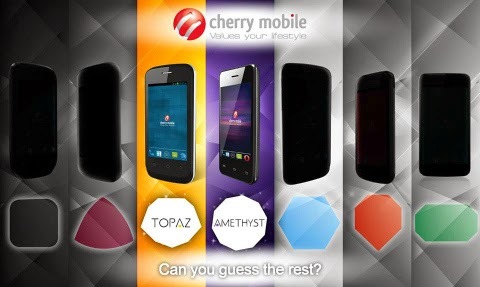 After releasing the Amethyst Phone, Cherry Mobile release another "gem" phone in their portfolio called the Cherry Mobile Topaz. Aside from this handset, the country's leading vendor also teases five of its purported "Gem" phones. If you are following the our previous post about the Amethyst, you could definitely tell that the Topaz is similarly-featured device which packs a capable 1-gigahertz dual-core CPU, Mali 400 GPU and 2-gigabyte internal storage. Likewise, active mobile photographers will have to settle with the 2-megapixel rear camera and 0.3-megapixel VGA front camera. Modesty aside, this phone is also priced at Php 2,299 which makes it a direct equivalent of the Amethyst phone. Cherry Mobile is certainly giving their fans variety of units to choose from. The only difference between CM Topaz and Amethyst is definitely the design. Check out the rest of the specs below.